Randy Johnson is a former Major League Baseball (MLB) player who in the 22 seasons that he spent in the league, won the World Series and emerged as the MVP at the World Series twice. He joined the MLB in 1988 and by 2009 when he retired, he had already played for different teams such as the New York Yankees, Arizona Diamondback, and the San Francisco Giants where he retired. The former MLB star was born Randall David Johnson on September 10, 1963, in California, Walnut Creek. While his father, Rollen Charles Johnson was a police officer, his mother, Carol Hannah was a homemaker and he was brought up alongside 5 siblings. As a kid, Randy Johnson developed an interest in sports such that by the time he was a student at the Livermore High School, he was already an excellent basketball and baseball player. Before then, he used to play baseball in their garage. After he was through with his high school, Johnson had the option of either going with the Atlanta Brave which drafted him in 1982 and was ready to offer him $50,000 to sign or go to college as he was offered a full athletic scholarship into the University of Southern California. He took the later and went on to play basketball for the college. In 1985, he was drafted by the Montreal Expos but it was not until 1988 that he made his debut in a game against the Pittsburgh Pirates. A year later he joined the Seattle Mariners with which he remained until 1998 when he joined the Houston Astros and spent only a season. The Big Unit as he was nicknamed then moved to Arizona Diamondbacks where he remained until 2004 before he moved to the New York Yankees prior to leaving the Arizona Diamondbacks again in 2006. Finally, Randy joined the San Francisco Giants in 2008 and then retired in 2009. Inasmuch as there are many who would believe that Randy Johnson had always had a perfect career because of all he achieved, that is not true. In his early days with the Montreal Expos, he had his own struggles most especially with his motion as a result of his height. However, he was spotted by the great baseball player Nolan Ryan who decided to help him with his mechanics. What is, even more, is that Randy’s father who was very supportive of his son suddenly died on Christmas Day in 1992 as a result of an aortic aneurysm. His death, however, helped the baseballer to have more determination and be open to his career which he thought then was uncertain. More so, it got him to become a born-again Christian. After his retirement in the year 2000, Randy Johnson has worked as a photographer and in 2015, the Arizona Diamondbacks made him a Special Assistant to the team’s president. Looking at his career, Randy had a win-loss record of 303-166 and an earned run average of 3.29 while he made 4,875 strikeouts. He also made 10 All-Stars, won 5 Cy Young Award, 4 ERA leader, 9 strikeout leader, and he became the World Series MVP in 2001, the same year that he won the championship. In 2015, he was inducted into the Seattle Mariners Hall of Fame. 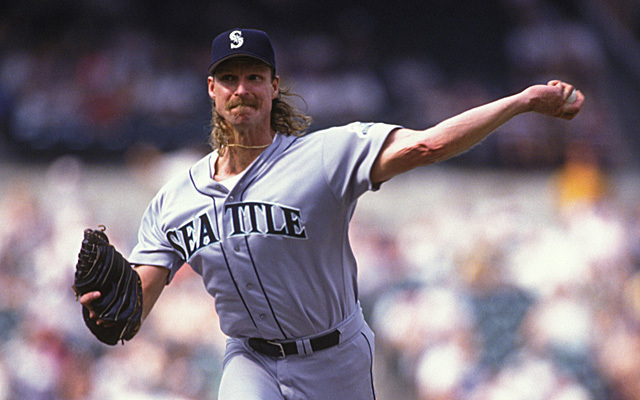 A World Series MVP and champion, Randy Johnson achieved a lot in his MLB career that ran for 22 seasons with which he became both famous and wealthy. It is thanks to this that he now has a net worth that is estimated at $95 million. Johnson made much of his fortune from his baseball career which saw him earning over $175 million in salary alone. Johnson has been married to Lisa Wielof since 1993. The couple first met during a charity event in 1988. Since then, they have remained close and their family has expanded with their children; Sammy, Tanner, Willow, and Alexandria who were born in 1994, 1996, 1998, and 1999 respectively. 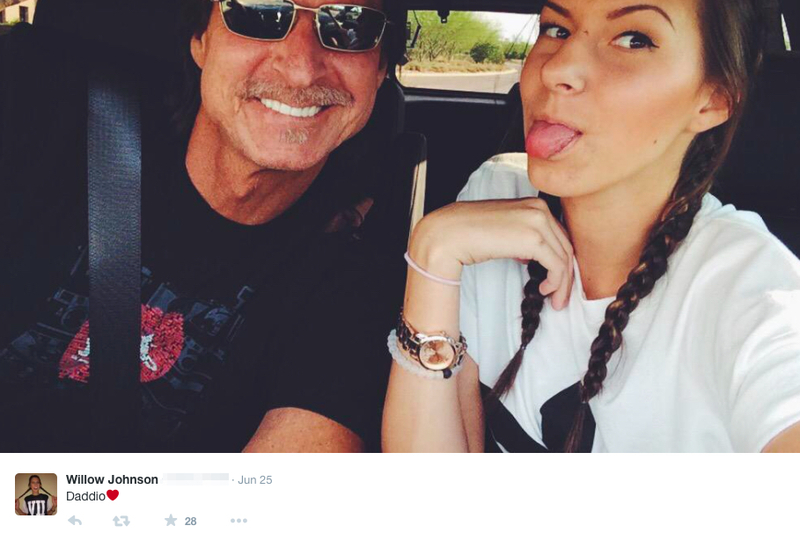 Before getting married to his wife, Randy Johnson had a relationship that produced a daughter, Heather Renee Roszell who was born in 1989. Two of his daughters, Lexi Johnson and Willow Johnson are volleyball players. One of the major problems that Randy would have faced as a baseball player was his height. Standing at a massive height of 6 feet 10 inches, Randy Johnson is one of the tallest players to have ever played in the MLB. It is thanks to this height that he once played basketball even though not at the professional level.